Matthew Crowley is an internationally-experienced junior counsel, with a general public law and commercial practice. Matthew is regularly briefed in: Taxation matters; Administrative law & judicial review: Consumer protection, regulatory law and civil penalty proceedings; Migration litigation, and; Australian Consumer Law litigation. 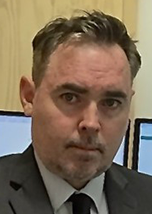 He appears as counsel in appellate and trial Courts in Victoria, Northern Territory, and Western Australia, but mainly practises in the federal courts. Matthew was called to the bar in 2016 after a period with the Federal Trade Commission in Washington DC , and has since set about establishing a practice at the Victorian bar and Western Australian bar. He has a particular interest in taxation, especially United States-Australia cross-border issues. Matthew is an International Fellow with the Federal Trade Commission in Washington DC, a visiting Fulbright scholar at Columbia University in New York, and a visiting Fulbright Scholar at Georgetown Law School in Washington DC. Matthew earned his LLM, and LLB and BA with Honours from Monash University, and was a Fulbright scholar. Matthew was admitted in Victoria in 2003 and in Western Australia in 2008. Matthew is also admitted in the Supreme Court of the United States, the United States Tax Court, New York State Supreme Court, and the federal District of Southern New York. He draws upon extensive experience as a public law litigator in all Australian courts, including the High Court of Australia. Matthew was General Counsel at WA’s Department of Commerce for 7 years, and Senior lawyer at the Australian Government Solicitor for 4 years. Matthew splits his practice between Melbourne and Perth.